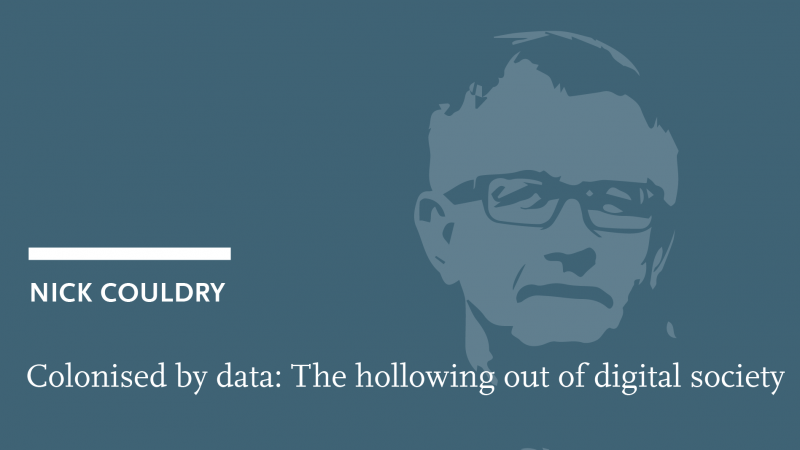 The current datafication of society not only brings about another iteration of capitalism, but also a new form of colonialism. We are witnessing the start of a new phase in human history that rivals in importance the emergence of historic colonialism: in short, the emergence of a new data colonialism, based on the appropriation of human life through data, that will pave the way for a new capitalism that it is as yet too early to name. The lecture will discuss how a new social order is being created as the key means to stabilise and enforce these developments. 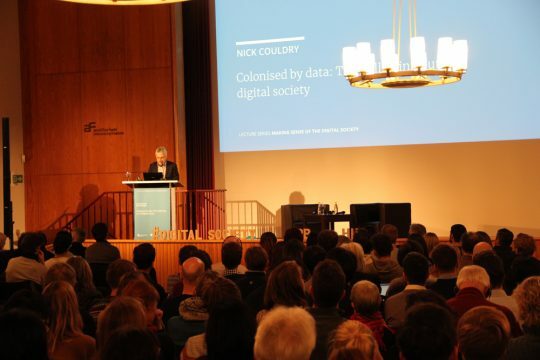 This new order creates new dependencies on platforms through which data is extracted, and also produces new forms of social discrimination, based on a reinvention of social knowledge. The result is a hollowing out of the social world, which for corporate capitalism takes on the paradoxical form of an emerging new social domain available for endless exploitation and manipulation. Nick Couldry is Professor of Media, Communications and Social Theory at the London School of Economics and Political Science (LSE). 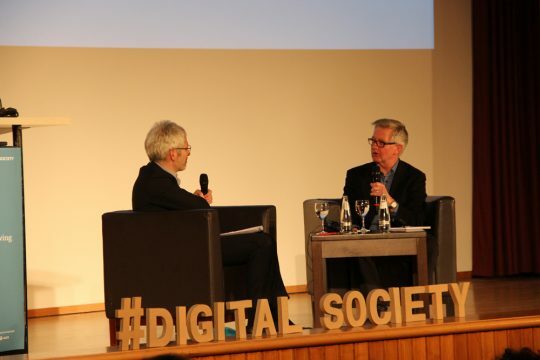 As a sociologist of media and culture, he approaches media and communications from the perspective of the symbolic power that has been historically concentrated in media institutions. He is interested in how media and communications institutions and infrastructures contribute to various types of order (social, political, cultural, economic, ethical). 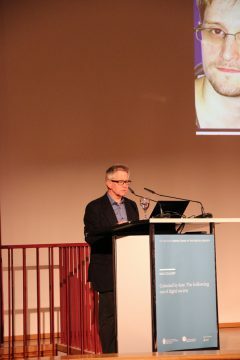 Couldry is author or editor of twelve books including most recently The Mediated Construction of Reality (with Andreas Hepp, Polity, 2016), Ethics of Media (2013 Palgrave), Media, Society, World: Social Theory and Digital Media Practice (Polity 2012) and Why Voice Matters: Culture and Politics After Neoliberalism (Sage 2010). 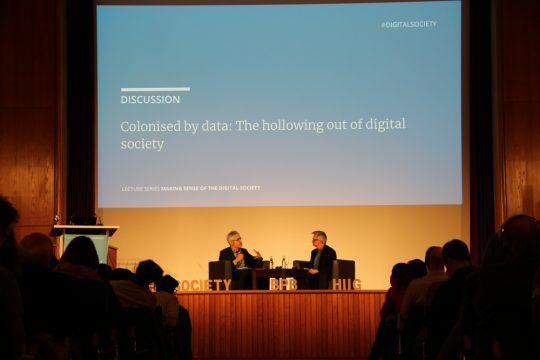 His lecture will draw on the author’s forthcoming book with Ulises Mejias, The Costs of Connection: How Data Colonizes Human Life and Appropriates it for capitalism (Stanford University Press 2019). Please register for the event using the registration form below. 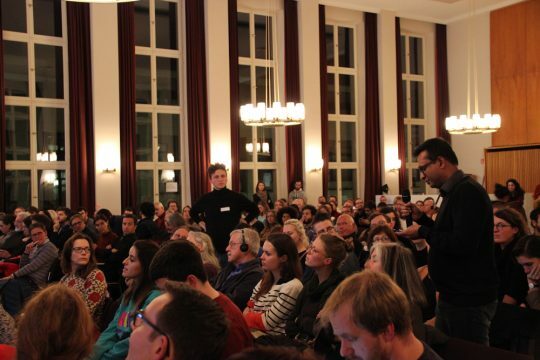 The event will be held in English and simultaneously translated into German. For press accreditation, please contact Florian Lüdtke. This event will be recorded and broadcasted live. By signing up you consent to be photographed, filmed and/or otherwise recorded during the event and to the use of the content in connection with the promotion and public relations of the event. 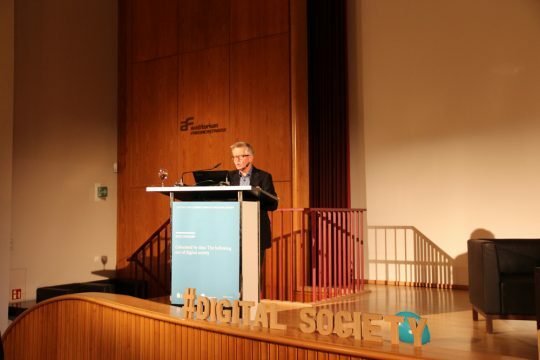 Alexander von Humboldt Institute for Internet and Society (HIIG) and the German Federal Agency for Civic Education/bpb are organising an academic lecture series on Making Sense of the Digital Society. The high-profile series thrives to develop a European perspective on the processes of transformation that our societies are currently undergoing. 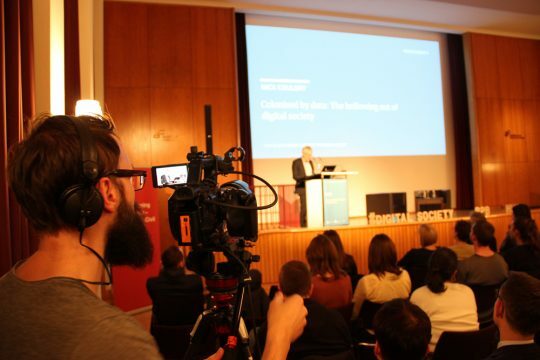 It started with an inaugural lecture by Manuel Castells about power and counter-power in the digital society in December 2017 and was continued by Christoph Neuberger, Elena Esposito, Marion Fourcade and Stephen Graham.